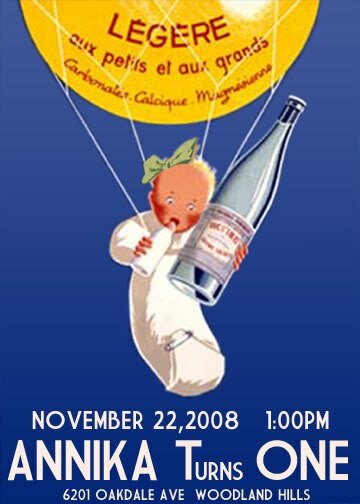 Last year I grabbed a vintage French poster and reworded it to create this invite to P’s first birthday party. For personal reasons we didn’t have the party. I was bummed. I had been planning it since she was 6 months old. I was so overwhelmed with a baby. I could only do a little bit here and there. I’m excited for this year!